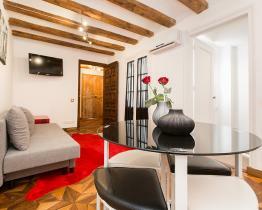 On this page, you will find a collection of apartments in Barri Gotic (named Gothic Quarter in English) area of Barcelona. You can pick the most attractive one to you, filtering by the type and included facilities. Gothic Quarter is one of the most charming areas of Barcelona. 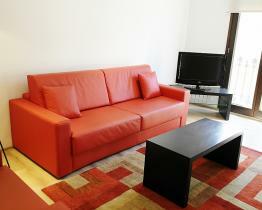 Here you can easily find an appropriate apartment to enjoy your stay. The region extends over a fairly large area, from La Rambla to Via Laietana, and from the harbor up to Plaza Catalunya. When visiting the Gothic Quarter do not miss out on entering the mighty cathedral. Equally impressive is the surrounding environment, where you can still feel the history from the ancient Roman times. There are also several small shops worth a visit. Carrer de Petritxol is a street famous for its cafes, the perfect spot to take a break and enjoy Barcelona's specialty: chocolate con churros! 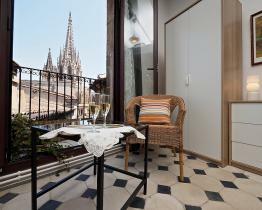 The Gothic Quarter is a popular place to visit in Barcelona and its proximity to the beach makes the area an ideal place to rent an apartment for your stay in Barcelona! 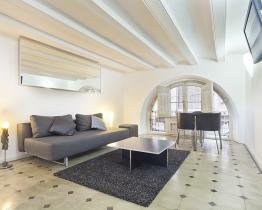 Apartments in Barri Gotic are just in the heart of Barcelona city center. 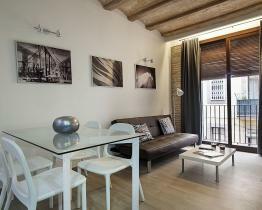 So if you are searching to rent an apartment in Barcelona city center this is the best choice. 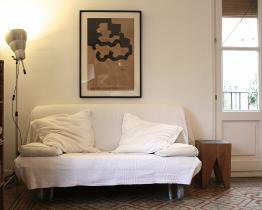 The zone is well connected by public transport, which will give you access to the rest of Barcelona's areas. Also, it will charm you with its vast choice of interesting places to eat tapas, drink chupitos and sangria. 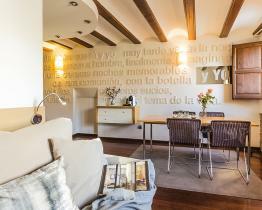 Barcelona Home will help you find a suitable real estate at your choice: penthouses, houses, room in shared apartments, spacious or studio apartments in Gothic Quarter. 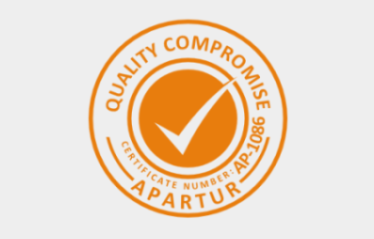 We provide good quality services and our priority is to make you have a comfortable stay. If you have any questions or need assistance in the booking process, you can always contact us.